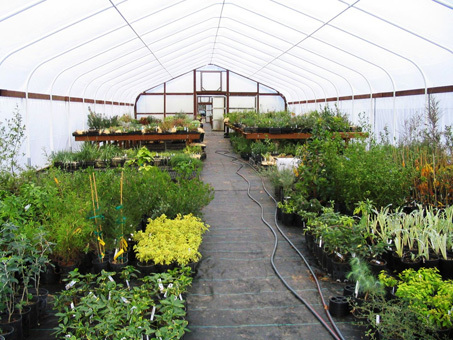 Forestfarm is one of the foremost mail-order nurseries in the country. 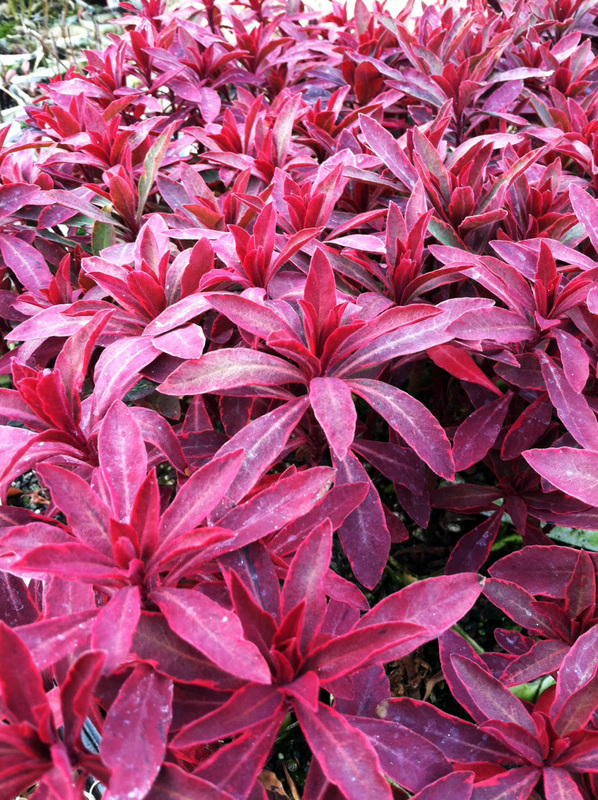 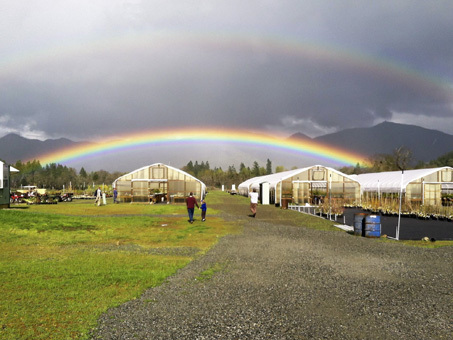 Known for its wide selection of over 5,000 species and varieties of quality plants in several sizes, Forestfarm’s great joy has been growing and selling special plants for over 40 years. 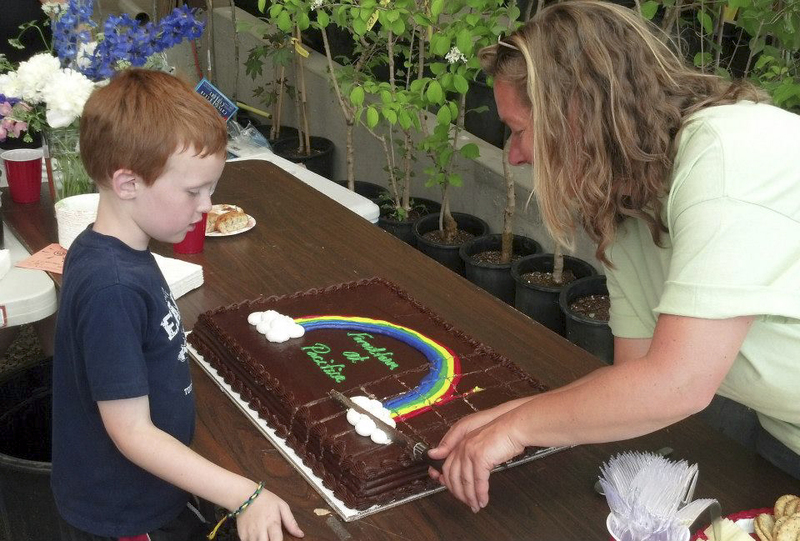 The nursery also prides itself on its amazing staff and reliable, friendly service. 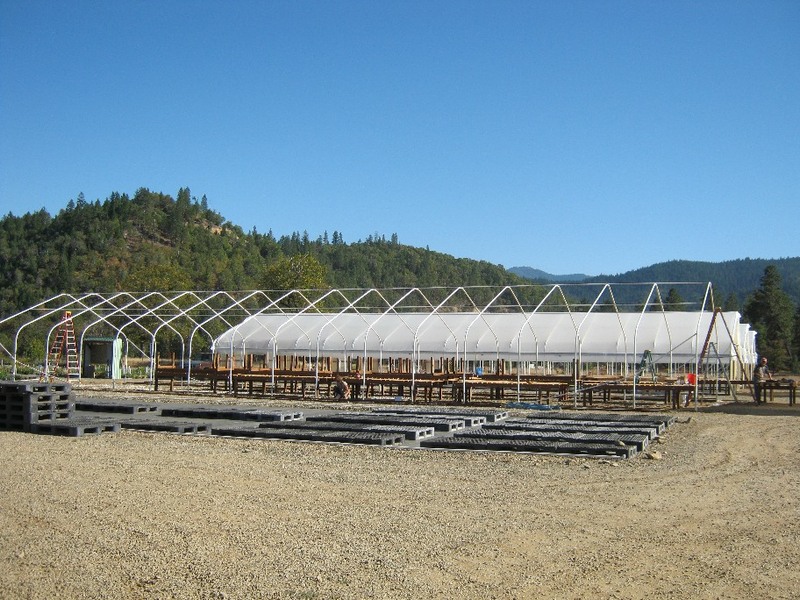 To learn more about Forestfarm and place your order today, please visit their official website at forestfarm.com. 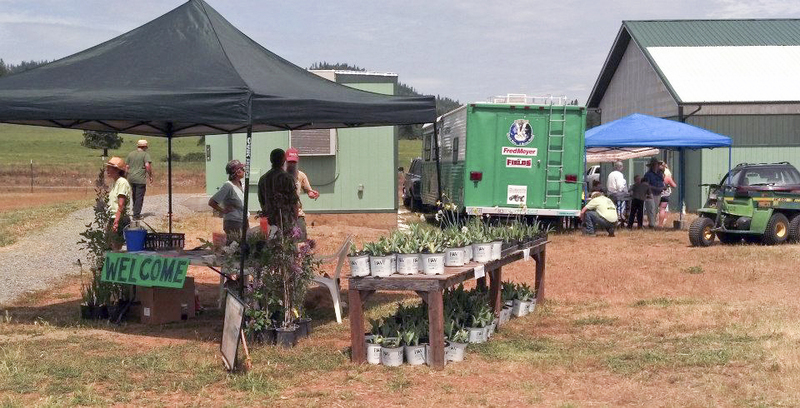 Orders may be placed for pick-up, or you can come to shop weekdays from 8-3. 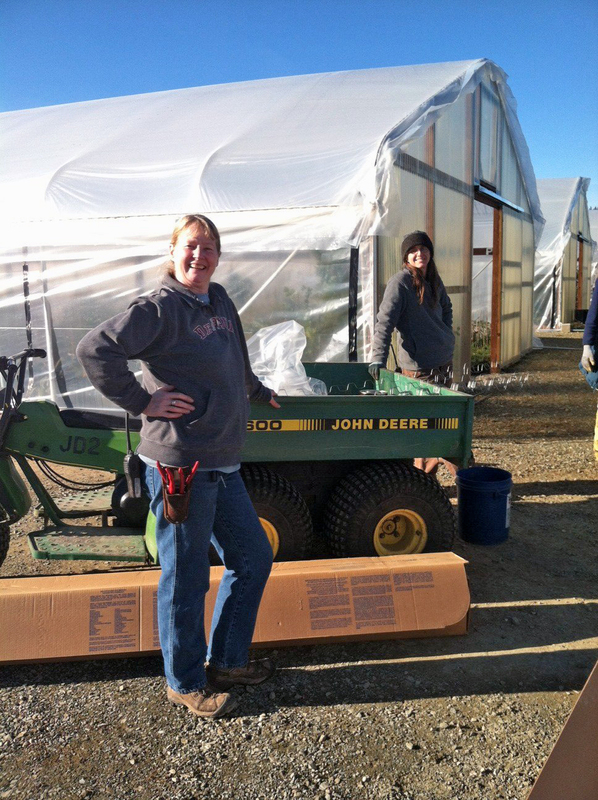 It’s always a good idea to call ahead to 541-846-7269 to let the nursery staff know your plans! 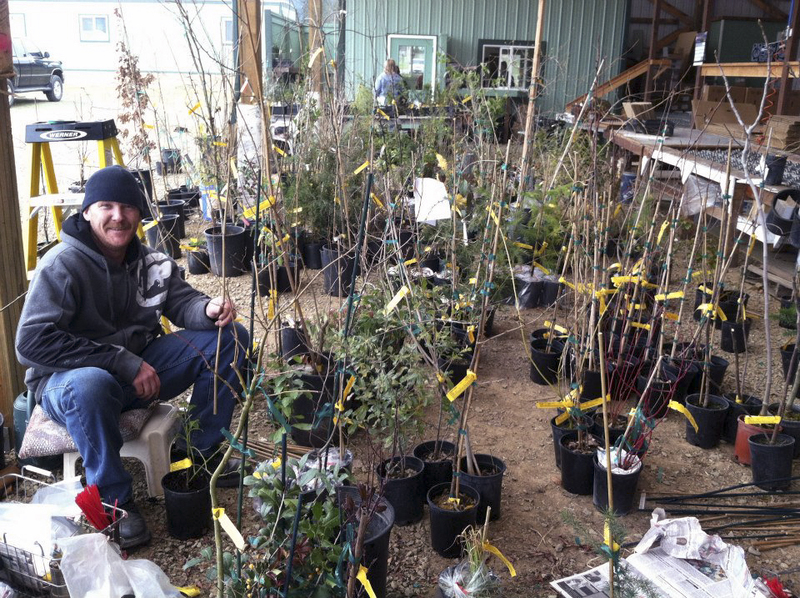 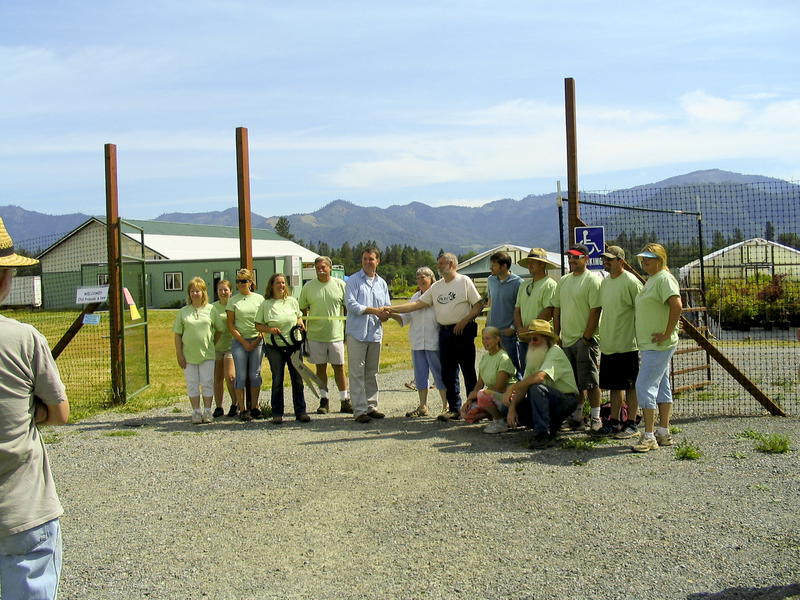 Forestfarm began a new chapter in its celebrated history when it was generously donated to Pacifica: A Garden in the Siskiyous in October 2012. 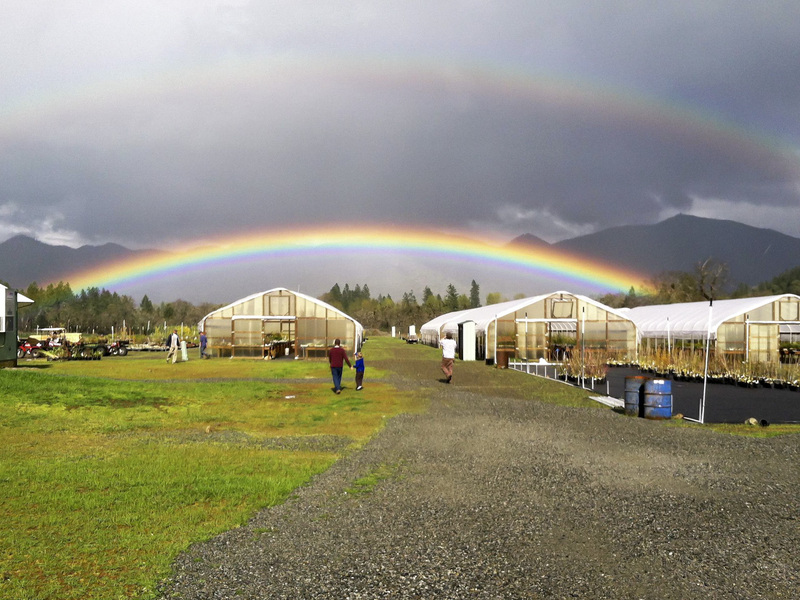 Forestfarm at Pacifica will provide a financial base for Pacifica and jobs for our community, including the Horticultural Internship program. 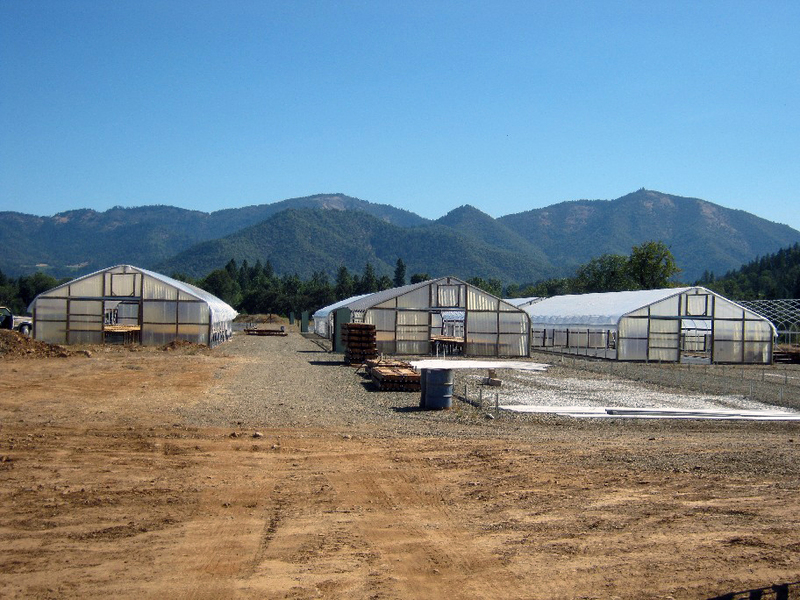 Forestfarm’s migration to Pacifica has been an exciting and extensive operation, requiring the preparation of 5 acres of Pacifica’s land. 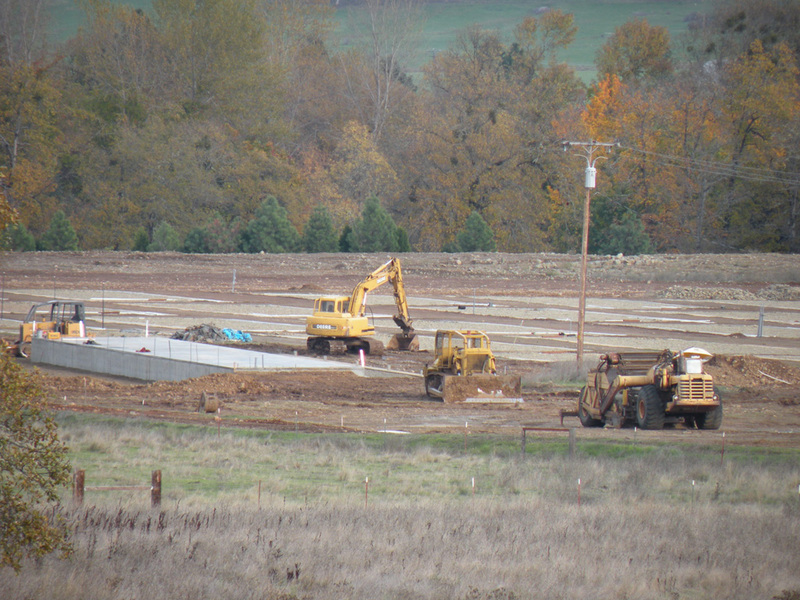 During the summer of 2009, a new reservoir was excavated on Pacifica’s grounds. 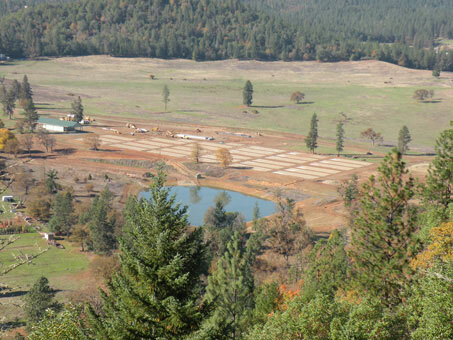 This is the first reservoir that Pacifica has added to the property’s existing water system and the first step in bringing Forestfarm to the property. 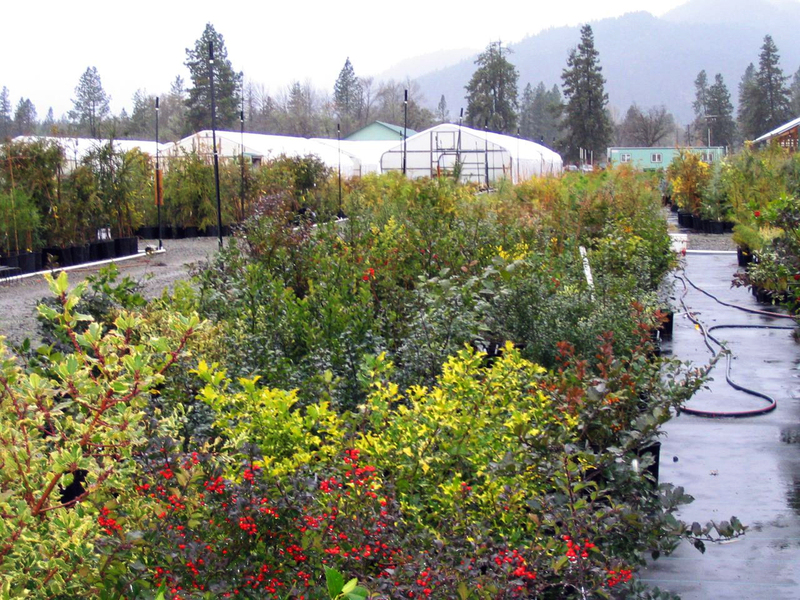 The Blue Skye reservoir is dedicated solely to the nursery. 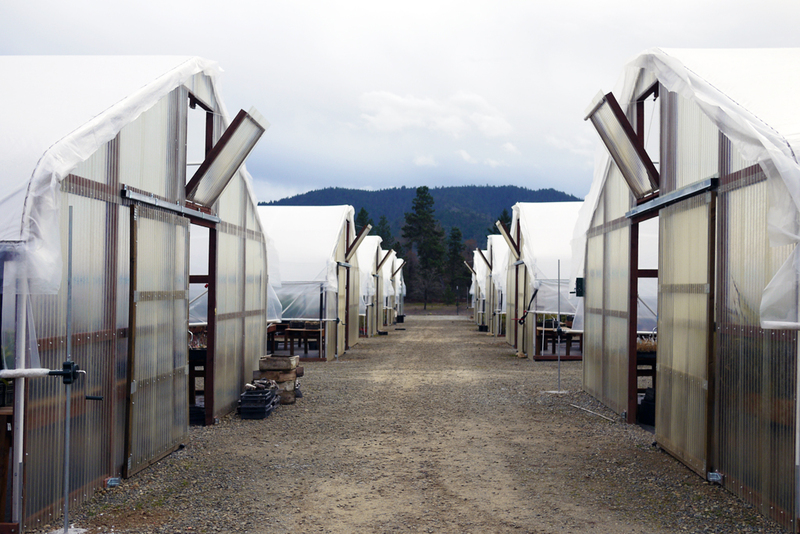 It serves as a recycling repository of the entire greenhouse and nursery watering system run-off. 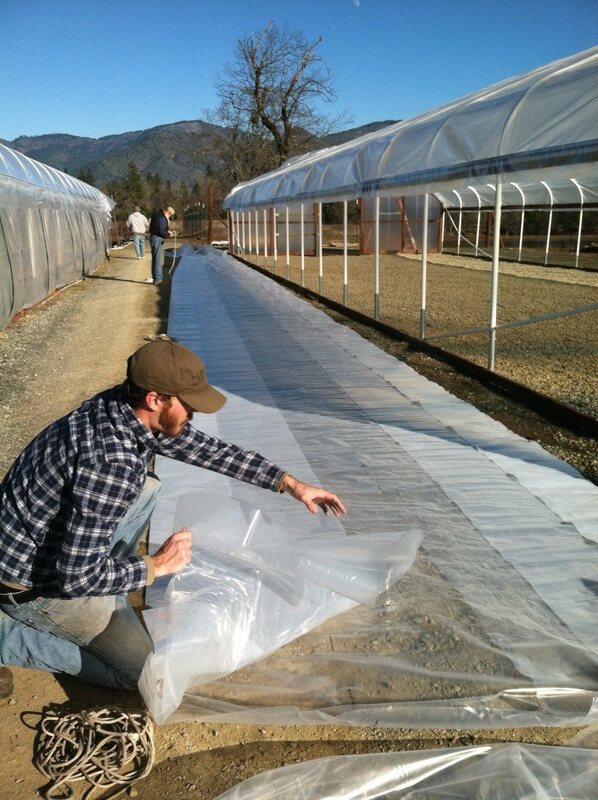 Once contained, the water is recycled back into the nursery and greenhouses, conserving water that would be lost in an ordinary operation. The reservoir also serves as a filtration system. 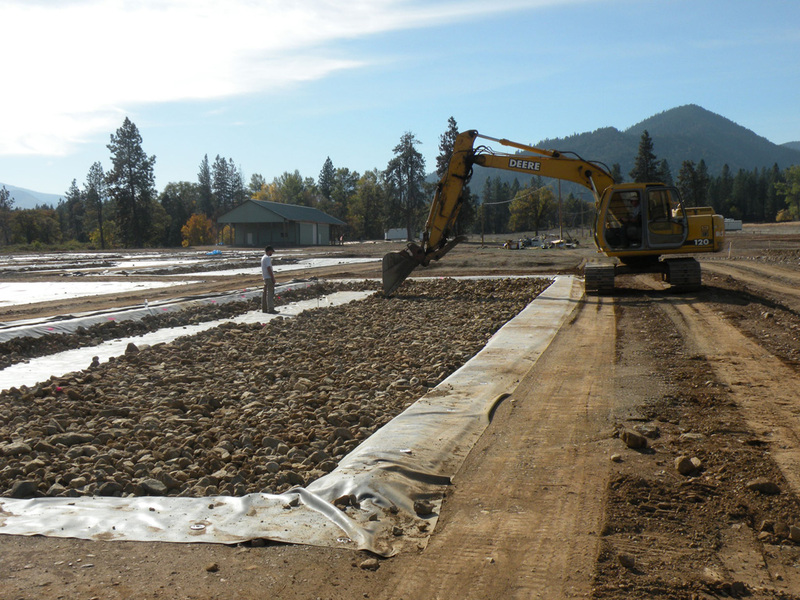 This process not only conserves water, it also insures that any seepage into ground water reserves is free of contaminants and pathogens. 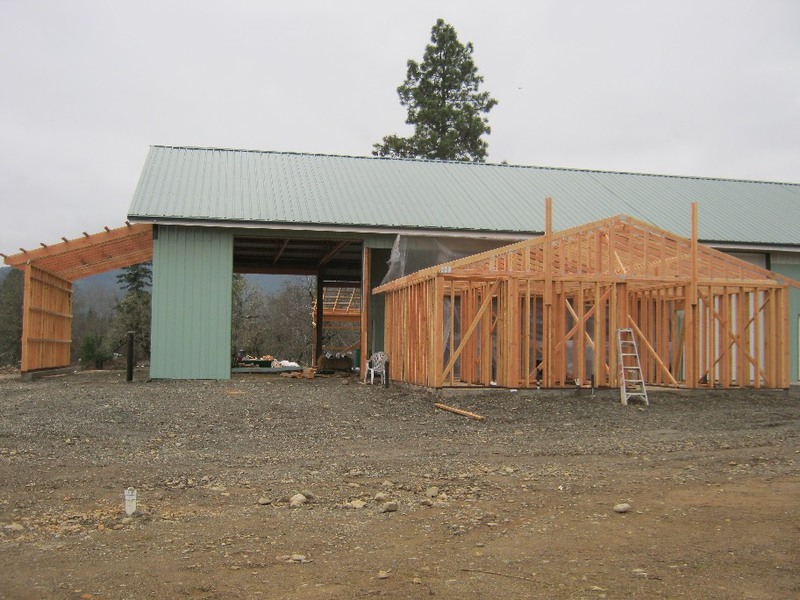 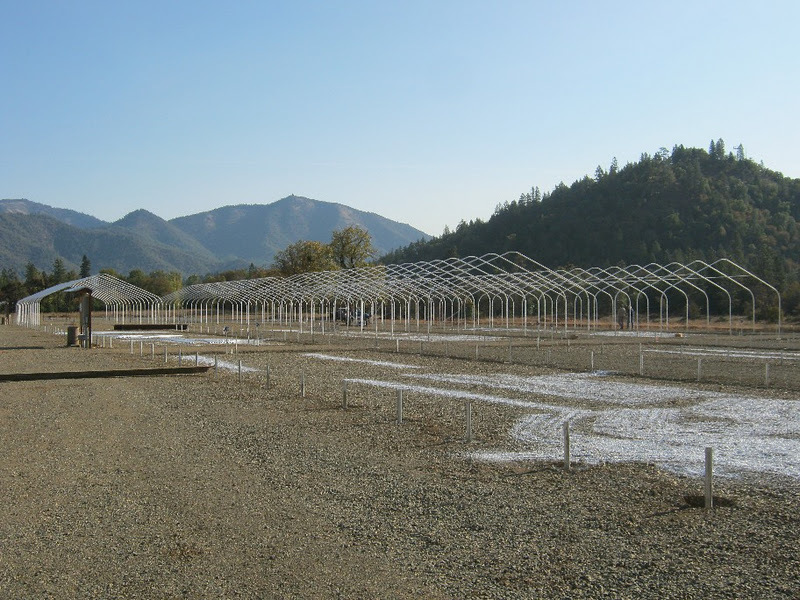 The Blue Skye project has been partially funded through grants from the Natural Resources Conservation Service and Josephine County Economic Development Funds. 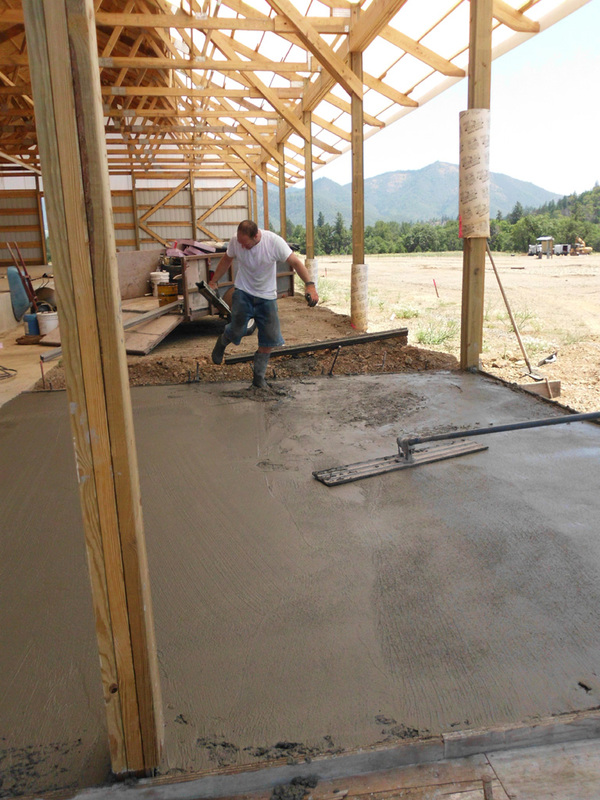 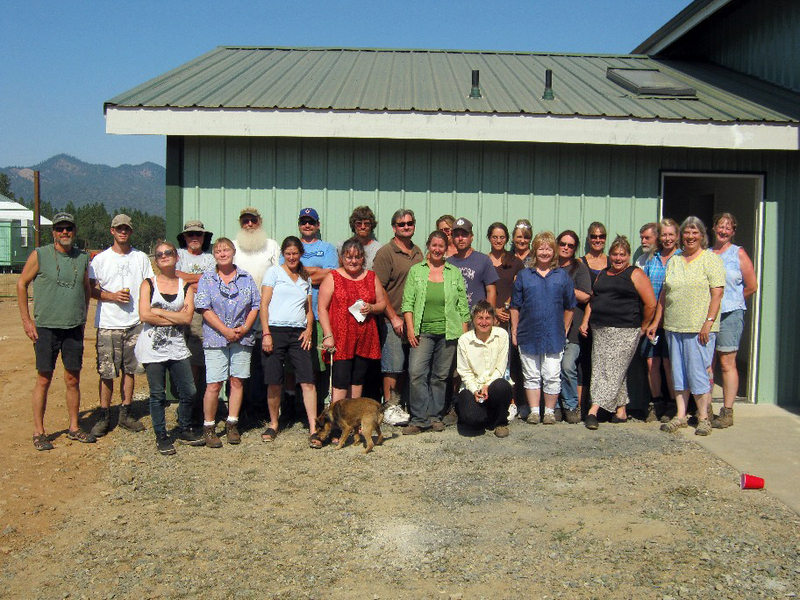 In 2010, a shop building and shipping building were constructed to accommodate Forestfarm’s staff and large volume of outgoing orders. 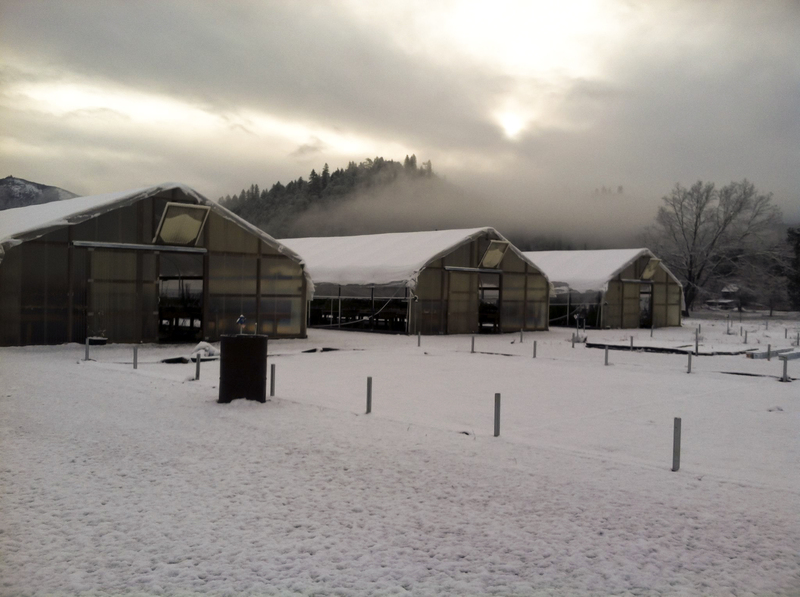 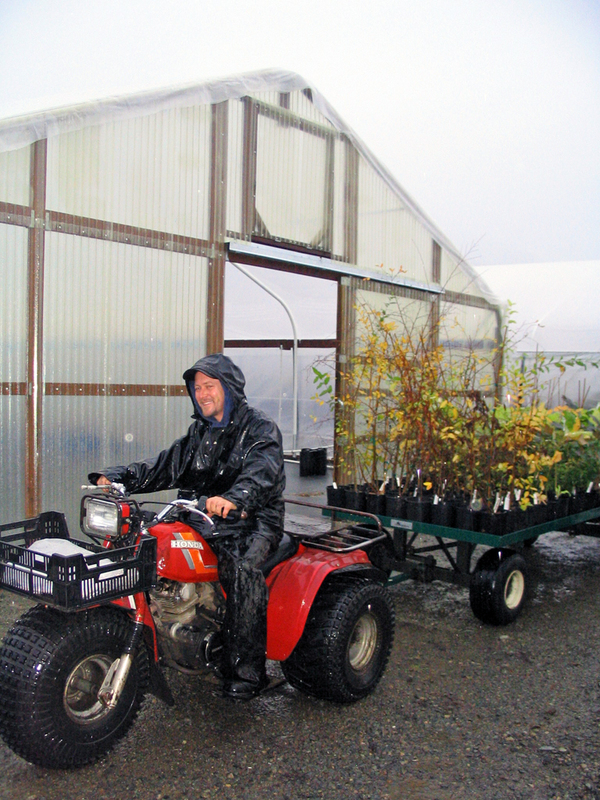 Greenhouses and nursery beds were constructed and filled with truckloads of foliage shipped from Forestfarm’s original location in Williams. 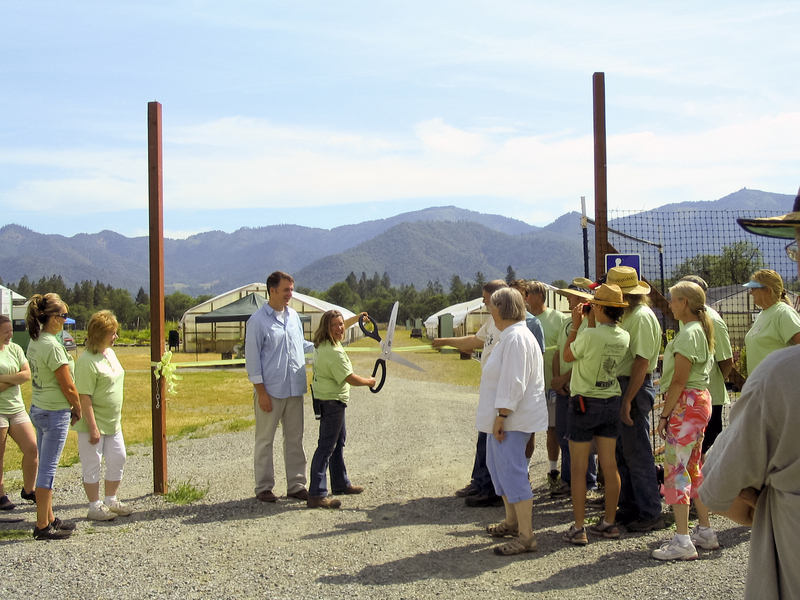 In the spring of 2013, Forestfarm at Pacifica hosted an Open House to celebrate its official arrival and get to know its new friends and neighbors. 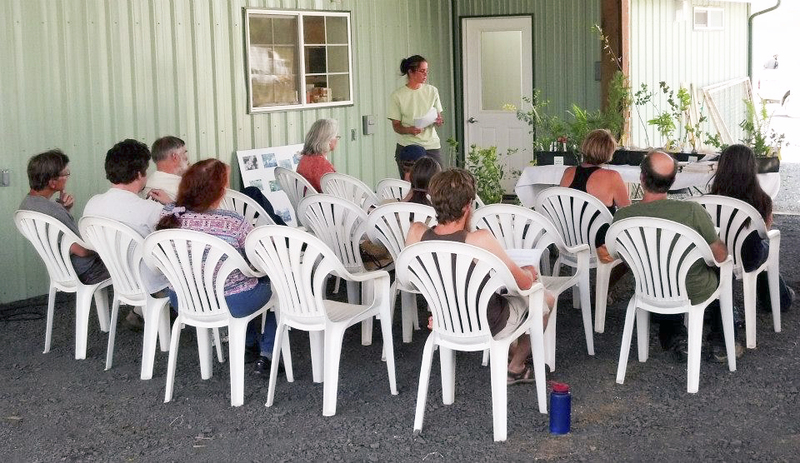 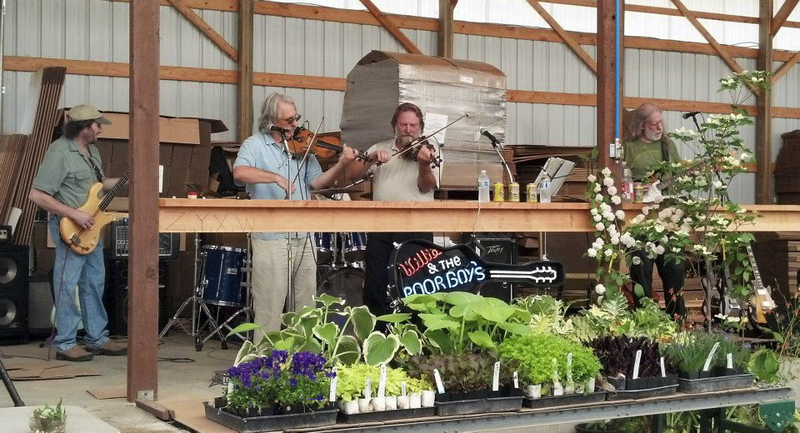 The event was a great success, featuring a ribbon-cutting ceremony, live music, free plants, and seminars held by plant experts. 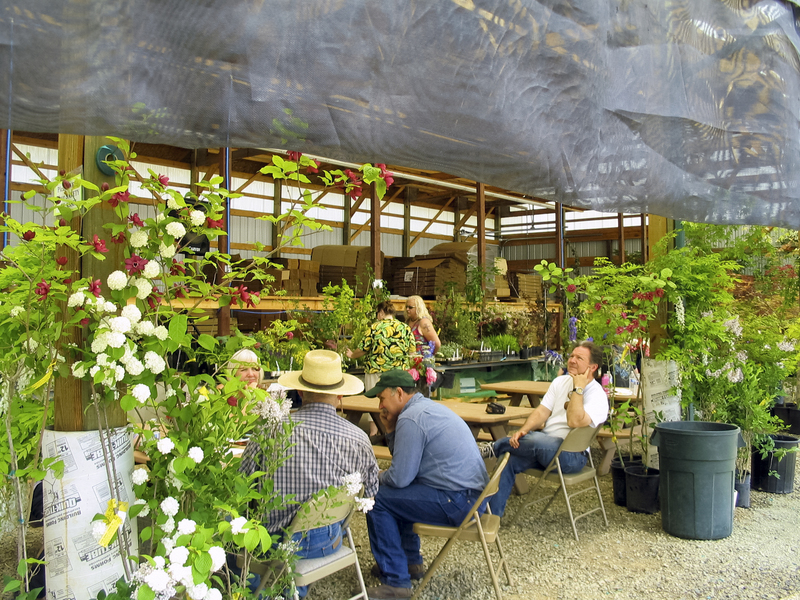 Today, the nursery is a lively center of activity for its staff of plant-lovers, surrounded by the beauty of Pacifica’s landscape. 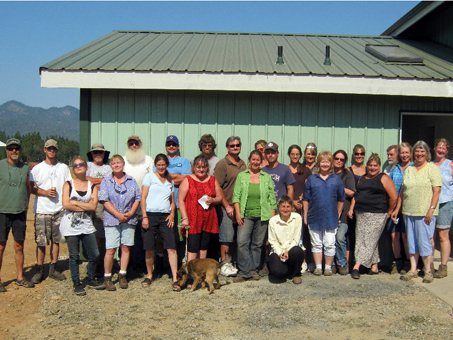 They are excited about sharing their knowledge and experience with others. 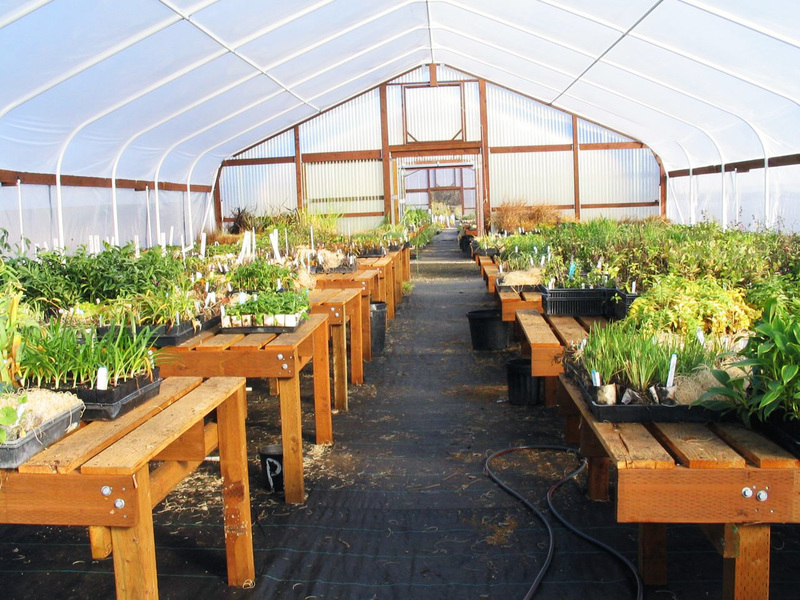 The Horticultural Internship program offers both work and study internships, providing hands-on training and access to the many years of nursery experience.